Today was the end of an era. Our 19-year-old Saturn car was towed away after we signed the title over to a junk yard. It will be picked apart and sold for parts. It was a good car, very reliable and had few issues until the last few years. It died the day before Christmas and it has taken us this long to actually get rid of it. It is funny – I didn’t expect to really feel anything. It is just a car. However, it has been part of our lives – 19 years out of our 24 year marriage. We brought both babies home from the hospital in it. We moved from Norfolk to Northern Virginia and back again in it. We bought it when my husband first broke into his field, computer programming, as a celebration and a demonstration that finally our struggles had lead to real, reliable jobs (in Northern Virginia, making actual living wages). Good bye my old friend. Categories: Blogroll, Changes, Uncategorized | Tags: 1997 Saturn, 2016, cars, goodbyes | Permalink. I have to say that the dealership did an excellent job repairing our poor beat-up baby. You would never know this car had ever bumped into or been hit by something else. They did have to replace the front passenger side door and repair the rear passenger side door – so they had to take the new paint pretty much all the way back. It really does look nice, so that’s good. And they will cover anything that comes up with any of the repairs for quite a while, so that’s reassuring as well. I learned several things from this (mis)adventure: I can do what needs to be done, calmly, and I also do very well when I venture out of my comfort zone. Perhaps I should venture out a bit more in the future. Who knows what other fun things I’ve been missing out on due to my cautious nature? 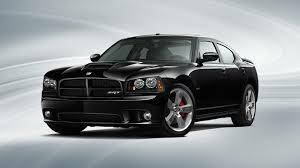 Categories: Family, Personal, Perspective | Tags: 2013, cars, Dodge Charger, Miscellaneous, moods, Self-improvement, What I Enjoy | Permalink. Thankfully, insurance (hers) is covering the roughly $3400 (so far) in repairs and the car rental. I’m SO grateful for insurance – and for the fact that the other driver and I were unhurt. Cars can be fixed – a bit harder with people. Categories: Gratitude, Miscellaneous | Tags: 2013, cars, Dodge Charger, Gratitude | Permalink.